Population aging and longevity in the context of declining social commitments, raises concerns about disadvantage and widening inequality in late life. 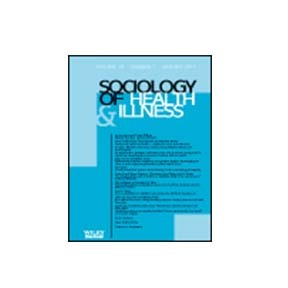 This paper explores the concept of precarity as a means to understand new and sustained forms of risk and insecurity that affect late life. The article begins with a review of the definition and uses of precarity in a range of scholarly fields including social gerontology. It then draws on illustrations from three locations of experience including older women, aging with a disability, and the foreign-born, to outline how precarity renders visible the disadvantages carried into late life, and new insecurities that emerge at the moment of needing care in the context of austerity. The argument being put forward is that precarity can be used to illustrate how risks and insecurities, experienced over time, in longevity, and the context of austerity, can deepen disadvantage. This lens thus holds the potential to challenge individual interpretations of risk, and situate experiences of disadvantage in the economic and political context. We conclude that contemporary conditions of austerity and longevity intersect to produce and sustain risk and disadvantage into late life. Grenier, A., Phillipson, C., Laliberte Rudman, D., Hatzifilalithis, S., Kobayashi, K and Marier, P. (December, 2017). Precarity in late life: Understanding new forms of risk and insecurity. Journal of Aging Studies, 43, p. 9-14.